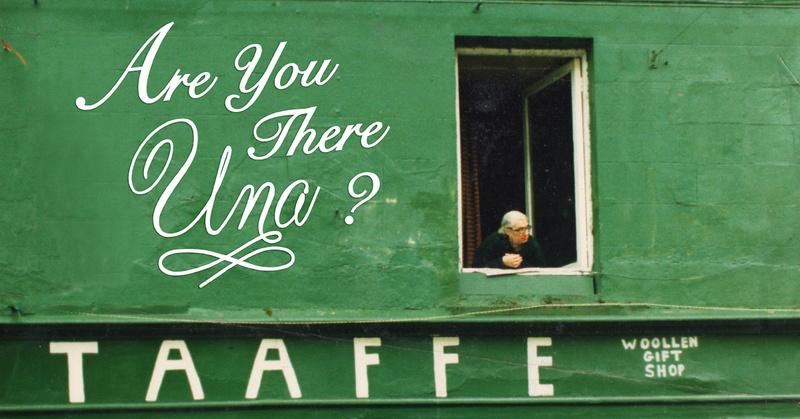 One of the most highly anticipated shows of this year’s Galway Theatre Festival, Are you the Una? by Elaine Mears, premieres in the Mick Lally Theatre from 3rd to 6th May, and on the 25th of May at Áras Éanna on Inis Oírr. In 2018, Elaine captured the imagination of Galway with an invitation to the public to add their stories to the story of Una Taaffe, one of the most central and visible characters of Galway city. As a result Are You There Una? was developed as part of Druid’s FUEL residency and Galway Theatre Festival. “Most towns have that larger than life, colourful iconic character, unique to their place. Stories and myths surround such personalities, and some hold more truth than others. These characters often evoke strong memories and feelings. But, what truth lies behind their stories? What do we find when we peel away the myths about such legends?”, remarks Elaine on her inspiration for the piece. Are you there Una? is a reclamation and restoration portrait of the late Una Taaffe – a woman who has inspired many far-fetched tales in her native Galway. It explores collected stories, interviews, personal memorabilia and fragments of memories of Una, as a means of peeling back the layers of myth-making and finding the real person beneath. Una’s life speaks to wider concerns of finding a sense of identity and belonging, how we read isolation, eccentricity and mental illness, and how we demystify these. The piece incorporates live music performance from Anna Mullarkey and video design by Jennifer Cunningham. Una Taaffe (1922 – 2006) was born into one of the last wealthy merchant class families of Galway. Una lived with her parents and four siblings above their drapery store on Williams Street, in the centre of Galway city. They were well-respected members of the Galway community, and played an active role in the everyday life of the city. Una was regarded as one of the most beautiful women of the day, with great style and class. Photos of her youth portray an animated woman who enveloped a vibrant social life. A remarkable entrepreneur, Una developed her parents’ business into a successful woollen shop, sourcing handknitted woollen jumpers from Connemara and the Aran islands and exporting them to an international market through a busy postal order service. Una is remembered as a generous employer and someone who played an active role in the business community. As Una aged, and new consumerism succeeded old ways of business, her social circle diminished, and to many, she appeared to become a ghost of her former glory. 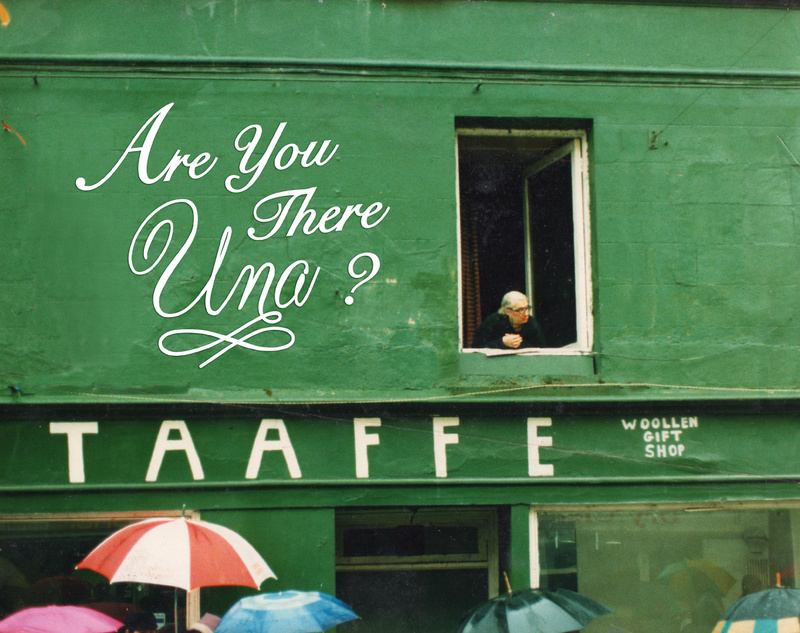 Shops like Taaffe’s were left behind, and in many ways, so too was Una. The considerable contribution that Una Taaffe made to Galway as a business leader, and as a determined and confident woman is often overshadowed by the decline in her mental health in later years. This departure played out publicly and is often people’s lasting memory of her. And yet Una was a pragmatic woman who defied the social norms of her time. She took over the family business and ran it successfully for many years. She refused marriage and was certainly not shy about speaking her mind. Are You There Una? presents an intricate account of a woman who lived a vibrant, colourful and fateful life saturated in intrigue and mystery. Tickets for Friday and Saturday have sold-out. Tickets available through Galway Theatre Festival at www.tht.ie/May. Reserve your tickets for Áras Éanna by emailing eolas@aras-eanna.ie. For more stories and photos of Una follow “Stories of Una” on Facebook and Twitter.